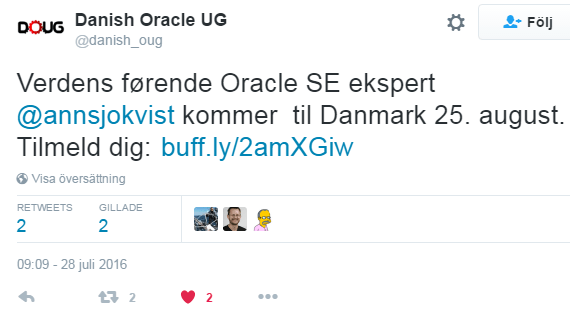 Talking SE at Danish Oracle UG 25.8.2016 | Oracle Standard Edition – Just love it! 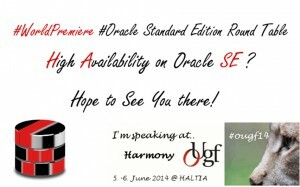 Are you a user of Oracle Standard Edition Database, or are planning to start working with a Standard Edition Database? I would love to meet you and hear about your experiences and exchange thoughts about SE future. 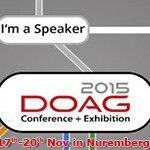 I will be talking about my experiences in SE, and its different pitfalls that I think every Oracle DBA should know about. Take care, stay well, and see you in Copenhagen!